In the wake of mounting public concerns over artificial additives and GMO ingredients, more and more businesses are stepping forward to make a change. The latest company to show they are listening is the global health care company Abbott, the manufacturer of Similac baby formula. Abbott says it will be the first company to offer a mainstream brand baby formula without genetically altered ingredients. The formula is scheduled to appear on shelves in Target by June. Abbott indicates their plan is to start with the Similac Advance non-GMO formula. Then they plan to release a non-GMO version of the Similac Sensitive formula as well. From that point, they will determine whether or not to offer other non-GMO formulas based on sales. A recent study conducted by the consumer marketing and advertising firm Fluent surveyed 1,829 adults regarding their non-GMO preferences. Their findings showed that approximately one in five people clearly preferred to purchase non-GMO products. “The preference for non-GMO products, in particular, is more pronounced amongst shoppers with higher household incomes and with shoppers based in the Northeast,” explained Matt Conlin, co-founder and president of Fluent. 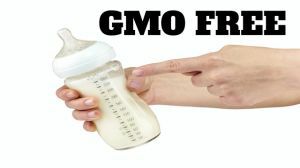 Unfortunately, mainstream commercial baby formula is produced with soy and corn derivatives that are nearly all grown from genetically altered seeds. Consumers have been approaching Abbott and other baby formula companies about removing GMO ingredients for the last couple years. However, Mr. Calamari claims consumer petitions did not prompt the creation of a non-GMO Similac product. Instead, he credits the new development to the company’s decision that was based on research into consumer desires. Abbott currently offers Similac Organic, which is a GMO-free baby formula, but they said their research indicated parents wanted a non-GMO version of Similac Advance. The reason being that Similac Advance is created to be more similar to breast milk. Hey Buddy!, I found this information for you: "Finally a Baby Formula That Is Non-GMO". Here is the website link: https://www.thealternativedaily.com/baby-formula-gmo-free/. Thank you.